Clean and classic. 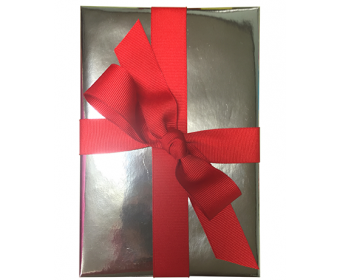 Wrap your gift in heavyweight metallic silver paper and finish it off with a perfect red bow. A touch of class perfect for any occasion.